Home / Merken / Yu-Gi-Oh! 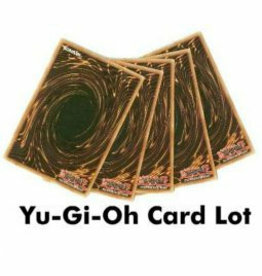 Populariteit Nieuwste producten Laagste prijs Hoogste prijs Naam oplopend Naam aflopend Alle merken Yu-Gi-Oh! 2018 Mega Tin Jaden Yuki Yu-Gi-Oh! 2018 Mega Tin Yusei Fudo Yu-Gi-Oh! De 2019 Gold Sarcophagus Tin is gebaseerd op de iconische Gold Sarcophagus en is gemaakt om jou kaarten veilig te bewaren en te beschermen tegen beschadiging. 2019 Gold Sarcophagus Tin Yu-Gi-Oh! down the days to Christmas, in a way fi t for a Duelist! Arena of Lost Souls Booster Box Yu-Gi-Oh! Arena of Lost Souls Booster Pack Yu-Gi-Oh! Delve deeper into the new Cyberse and Link Monsters with Structure Deck: Cyberse Link! Duelists got their first taste of Cyberse and Link Monsters in Starter Deck: Link Strike and Code of the Duelist. Cyberse Link Structure Deck Yu-Gi-Oh! Dark Neostorm Booster Box Yu-Gi-Oh! Dark Neostorm Booster Pack Yu-Gi-Oh! Dark Neostorm Special Edition Yu-Gi-Oh! Yu-Gi-Oh! TCG Dark Saviors, gives a classic horror movie monster the powers it’s known for and introduces brand-new Deck themes for both novice and advanced Duelists. All of the necessary themed cards for each of these Decks can be found in Dark Saviors. Dark Saviors Booster Pack Yu-Gi-Oh!